At Silvertip Resort, golf is much more than a game. It’s about being in touch with nature. Where you are surrounded by some of the world’s most spectacular scenery, and where moments of solitude are broken by the voices of nature. From its naturally elevated mountainside location and astounding 360-degree views, to a seemingly endless supply of warm Southern Alberta sunshine and countless acres of untouched wilderness, Silvertip Golf Course offers what no other course can – 18 holes of beautifully designed golf overlooking the spectacular Bow Valley corridor, deep in the heart of the Rocky Mountain wilderness. Naturally Spectacular. Naturally elevated. Naturally inspired. With its setting amongst some of the most beautiful mountains in the Rockies, Silvertip Resort offers a haven from the world. Ideally located high on a mountainside on the “sunny side” of the Trans-Canada Highway, Silvertip Resort has a bird’s eye view of Canmore, Alberta and offers breathtaking views of the surrounding Rocky Mountains. The city of Calgary is just 90 kilometers to the east (60 minutes), and Banff National Park is just 23 kilometers (20 minutes) to the west. 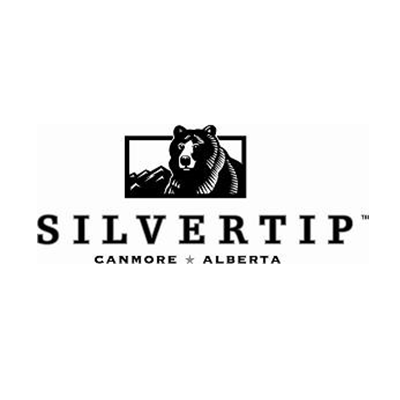 Silvertip Resort climbs from an elevation of 1,310 metres (4,300 feet) to 1,560 metres (5,200 feet) and provides an awe-inspiring view of the Bow Valley and Town of Canmore.